At Gharibian & Oliver, we understand that each family law matter is unique and requires a plan of action and legal strategy crafted to meet the needs of each family member. We believe it is our job to provide you with the knowledge you need to make informed and financially responsible decisions regarding your complex and critically important family law issues. From child custody matters to contentious divorce cases, we strive to help you understand the bigger picture – and move toward an attainable goal that does not create more problems for your family in future years. Our firm prides itself in the ability to hear your concerns and to translate your ideas into specific legal actions. We recognize that it can be especially easy to act out of emotion, spite, or haste during a family law matter. 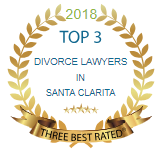 Our Santa Clarita divorce lawyers can work with you so you can completely understand the possible ramifications of your decisions and provide you with realistic expectations as your case develops and progresses. Most importantly, we believe in arming you with the right information so you can manage and preserve your family’s assets rather than wasting them on costly litigation or other unnecessary legal expenses. Results count. We help you protect what matters most. We recognize that you may want to maintain privacy and confidentiality in your case and we can help negotiate the results you deserve. If necessary, however, we have the talent, ability, and resources needed to obtain favorable results through fierce legal advocacy if litigation becomes necessary. When straight answers are what you need, when integrity in performance counts, and when results-oriented legal counsel is what your family expects, then choose Gharibian & Oliver today. Our Santa Clarita divorce attorneys can stand at your side from beginning to end. Call Gharibian & Oliver at (661) 349-9302 to request a consultation. We proudly serve clients and their families throughout Santa Clarita Valley and other surrounding areas, including Pasadena, La Cañada, and La Crescenta. Our Attorneys currently serve as court mediators for the Los Angeles Court. Our attorneys have been recognized as "Lawyer of the Year" by the Santa Clarita Valley Bar Association in 2006 & 2014. Work exclusively with qualified lawyers - Not Assistants. Honest, ethical advice that focuses on results. Multiple appearances on CNN and Access Hollywood.